The picture above was taken in Jomsom. 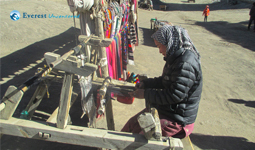 The old lady is going about her day weaving clothes that earns her a living. The wooden machinery is old school, just like the lifestyle there. Time seems to move slow when you are that detached from the contemporary. 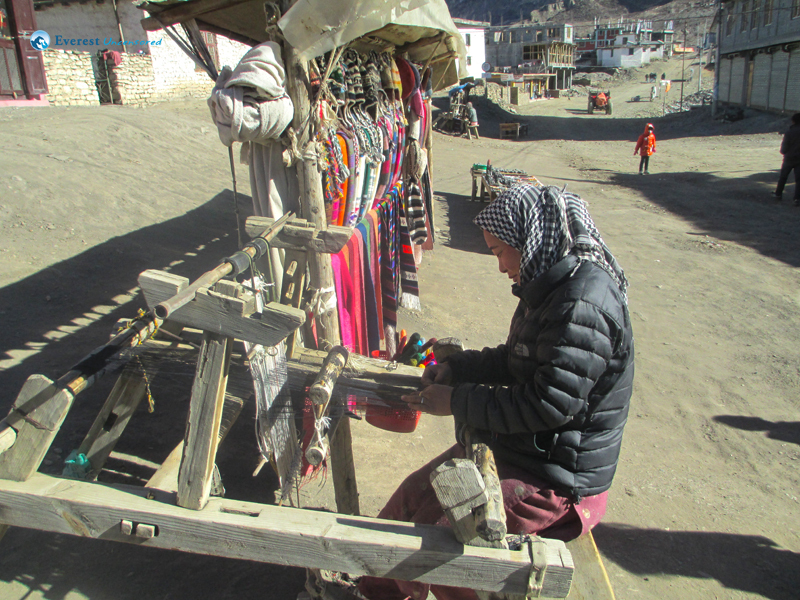 Maybe it is for good as culture has stood the test of time through generations in a place like Jomsom. Ignorance of world outside seems have served them well as the uniqueness has perpetuated for so long.